A variety of microbial reduction techniques are routinely employed within the industry for reduction of pathogens. These techniques include: fumigants (ethylene oxide and propylene oxide), steam and irradiation. Each technique has advantages and limitations in effectiveness, quality impact and consumer acceptance. 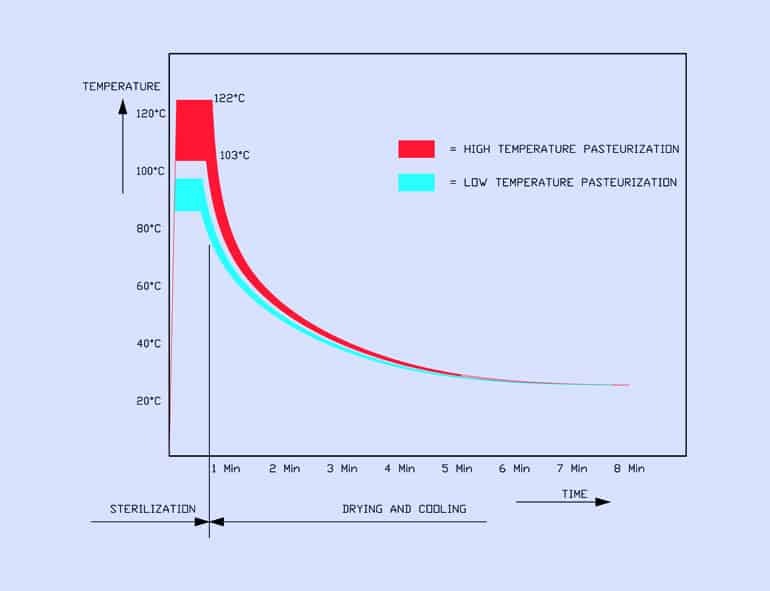 Natural sterilization/pasteurization with pure steam has gained significantly in popularity with the introduction of the continuous HT-ST “In-Flow” steam decontamination process. The very short contact (20-40 seconds) with high pressure steam at a temperature that may vary between 102°C and 122°C makes it possible to decontaminate heat sensitive herbs, powder and spices without adverse effect on quality. 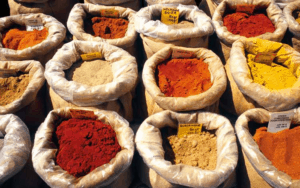 Suitable for spices, herbs, botanicals, seeds, whole products and ground products. A variety of microbial reduction techniques are routinely employed within the industry for reduction of pathogens. These techniques include: fumigants (ethylene oxide and propylene oxide) and irradiation. The world is changing, Consumers Want Healthy Foods which are not treated with a process that possible leave behind a chemical residue or create toxins. 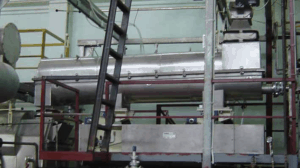 Therefor the Natural steam sterilization/pasteurization with pure steam has gained significantly in popularity. The very short contact (20-40 seconds) with high pressure steam at a temperature that may vary between 102°C and 122°C makes it possible to decontaminate heat sensitive herbs, spices and seeds without adverse effect on quality. Multifunctional decontamination plant/machine for Sterilization and pasteurization of spices, herbs and grains. We develop the best machines, build them, test them, install them at your site and deliver support/spare parts. Are you intersted in Sterilization and pasteurization of spices, herbs and grains or can we help you by contacting you over phone or e-mail? please leave your contact information, one of our specialists will call you back tell you everything you need to know about Sterilization and pasteurization of spices, herbs and grains. Natural ST-HT steam sterilization / pasteurization for spices, herbs & botanicals, dried vegetables, seeds and nuts by TEMA Process B.V. 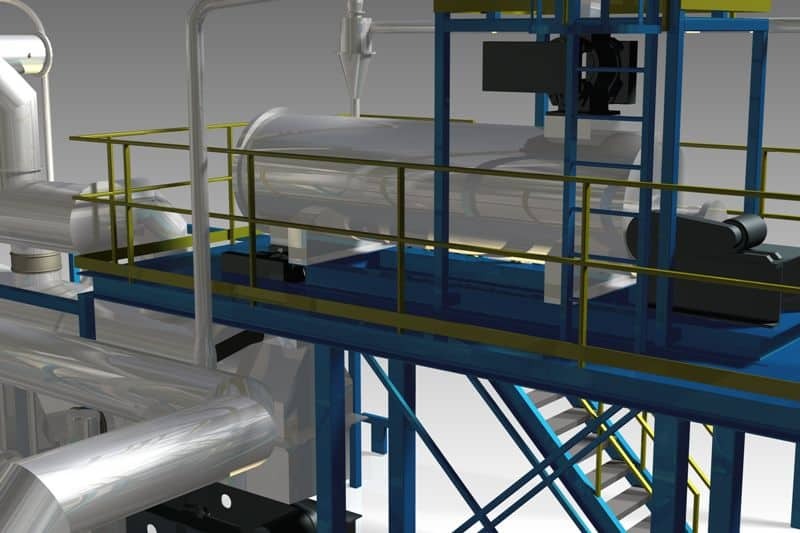 The continuous process uses a very special continuous autoclave with inside a so-called shaking bed conveyor and self cleaning rotary valves for respectively product feed into and out off the pressure vessel. 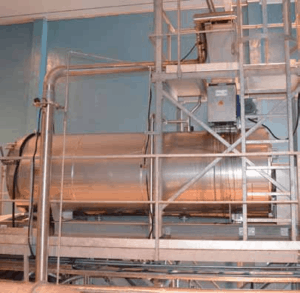 The process is further identified by a sanitary fluid bed dryer/cooler, using sterile filtered air to bring the moisture content of the treated product accurately to the desired final moisture content. Automatic cleaning in place (C.I.P.) provides for quick change from one product to another. The total process takes only 30 seconds for sterilization plus 7 minutes for conditioning. With the continuous process the product will not be subjected to a temperature above 55 degree C, longer than 60 seconds. The first multifunctional plant has been installed in the Netherlands in 1990. 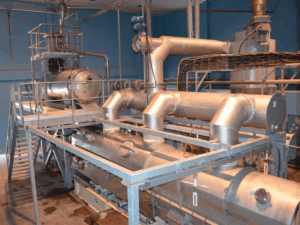 Continuous steam decontamination plants are in operation in Holland, Germany, Hungary, Poland, Bulgaria, USA, Brazil, India, Korea, Japan, Vietnam, Malaysia and China. 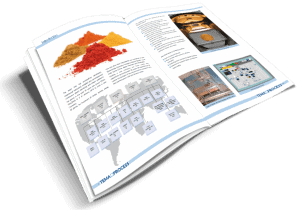 Are you interested in Sterilization and pasteurization of spices? We offer our technical sheets for free in different languages. Download our technical sheets on our download page. flake, pistachio nuts, almonds, sun flower seed, dried vegetables etc. 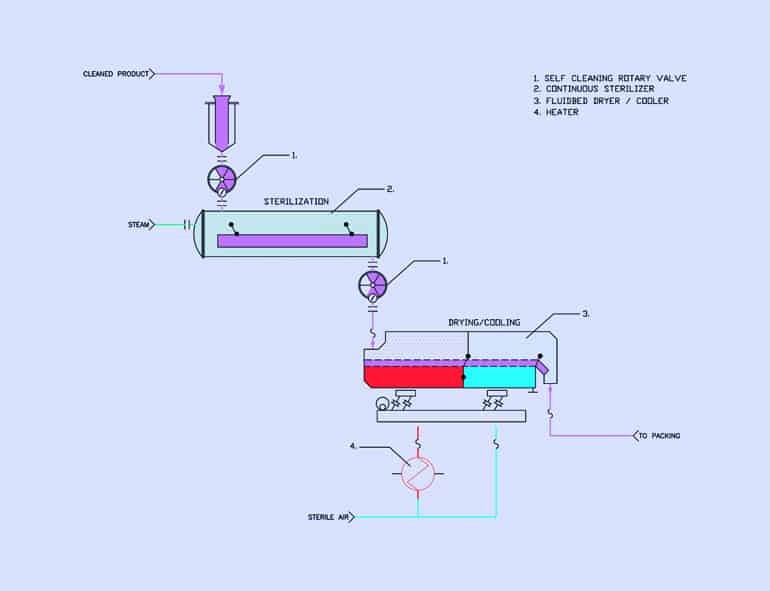 ambient superheated steam for pasteurization and sterile filtered air for drying and cooling. The pasteurizing vessel has a perforated bed plate on which the product proceeds forward. The process is controlled by a PLC with data acquisition. (ethylene oxide and propylene oxide), steam and irradiation. Each technique has advantages and limitations in effectiveness, quality impact and consumer acceptance. steam decontamination process. These plants are multifunctional plants for heavy polluted sundried products to be processed at temperatures up to 122 °C. The very short contact time (20-40 seconds) with high pressure steam at a temperature that may vary between 102 °C and 122 °C makes it possible to decontaminate heat sensitive herbs and spices without adverse effect on quality.